IF you are thinking overseas for a holiday at Christmas this year, why not think something both totally out of the ordinary, and totally captivating. And that would be to have Christmas week aboard one of the twin mega-motor-cruisers of SeaDream Yacht Club through the balmy islands of the Caribbean, and on which you and a maximum of just 100 other guests will be pampered by 95 officers and crew – and with a Christmas Day to be never forgotten. Because SeaDream's chefs are already thinking-up just what they can enthral guests with as SeaDream I spends Christmas Day at Iles des Saintes (Islands of the Saints) in Guadeloupe in the French West Indies, and SeaDream II has Christmas Day at North Sound in Virgin Gorda in the British Virgin Islands. This year both yachts will sail their 7-day Christmas voyages on December 21, SeaDream I from Marigot on Saint Martin in the French West Indies for Bridgetown in Barbados, and SeaDream II from Charlotte Amalie on St Thomas in the US Virgin Islands, for Charlotte Amalie on St Thomas (also in the USVI) and with daily island ports of call for both. 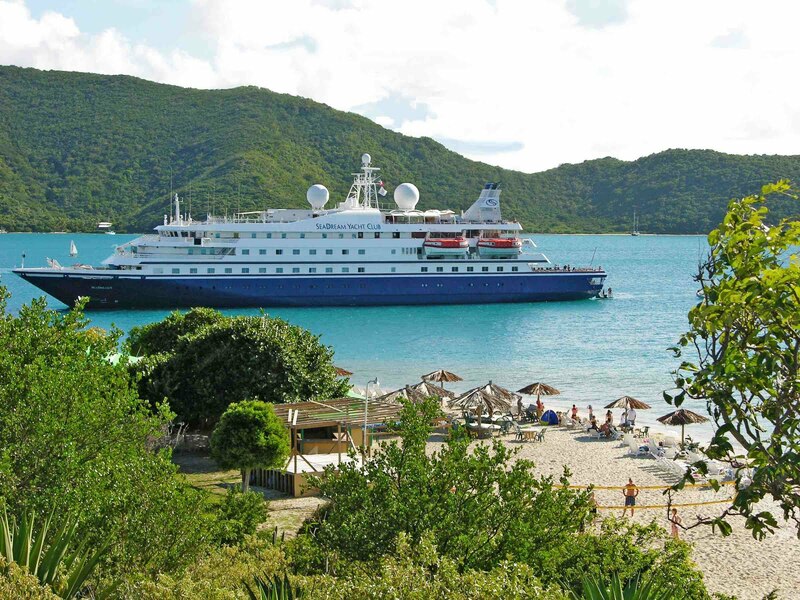 Both sailings will include SeaDream's award winning cuisine, premium wines, spirits and bar drinks, power and sail water-sports, a golf simulator and fitness centre, port charges and taxes, and staff and crew gratuities. And prices for each start from US$5091pp twin-share. (ITINERARIES: SeaDream I will depart Marigot on Saint Martin in the French West Indies on December 21 for Anguilla in the British West Indies, Gustavia on St Barts in the FWI for two overnights, Iles des Saintes for Christmas Day, Rodney Bay on Saint Lucia, Mayreau in St Vincent and the Grenadines, and finally Bridgetown in Barbados on December 28.